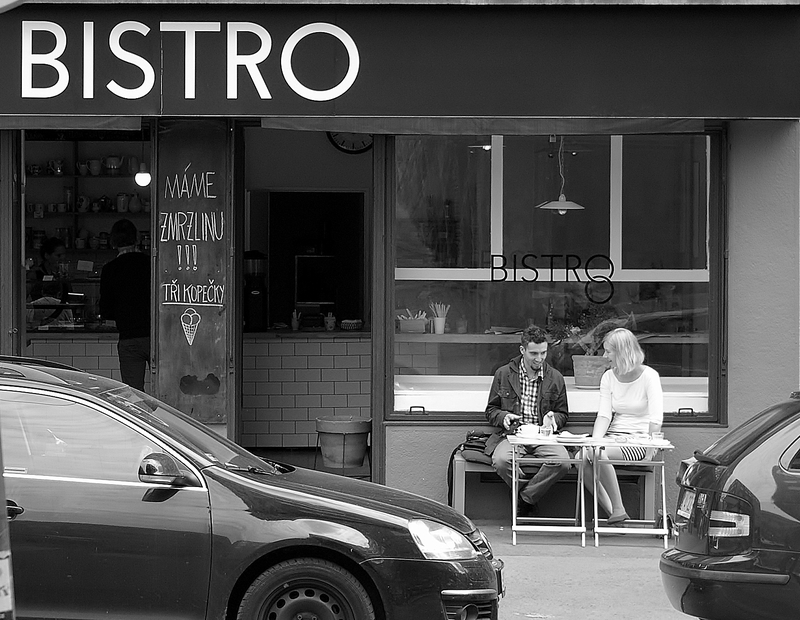 This entry was posted in Life/Photography and tagged Bistro, black & white, boy girl, bw, Cafe, chat, City, Coffee, Conversation, couple, date, dialogue, Friends, life, Love, Lovers, Photography, postaday, Prague, rendez-vous, Street, talk, Urban, weekly photo challenge. Bookmark the permalink. Great shot, and I especially love it in black and white! Oh, thank you so much! You don’t know what a praise from someone with a blog like yours means to me. Your photographs are stunning! Especially with this one that I am quite proud of, as I concider it pretty cool, too, I must say rather immodestly. :-) B&W was an easy and quite natural choice for this one.